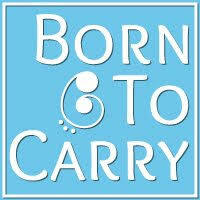 In addition to my work with South East Slings, I am one of the Trainers for Born To Carry, which is a training initiative which aims to bring together all the great trainers we have in the UK under one banner. Courses are hosted at my home in Petersfield Hampshire. You can see available dates on the Peer Supporter page. I generally cover the South of England, including the West Country, Kent and Oxfordshire but am happy to travel further, depending on demand. Why train as a peer supporter? People choose to attend the course for a wide range of reasons. Maybe you run/volunteer at a Sling Library or Sling Meet and want to ensure parents are provided with clear information? Perhaps you work with parents in a different field and would like to increase your awareness of babywearing? Possibly you want to be able to help friends and relatives carry their own children, but want to be sure you're giving them safe, up-to-date information? Or you could simply be an enthusiastic babywearer who would like to increase your own knowledge! I cover the South of England - including the Home Counties and West Country - and am happy to travel further if required. Peer Supporter Training Courses last one day (9am-4.30pm) and are for 4-10 participants. Courses cost £80 per participant, including travel within a 30-minute radius of my home. Additional charges apply for travelling further afield (any additional costs are split between participants). If there are 6 or more participants, travel is included within 2 hours of my home. I ask for a £40 deposit to secure your place, with the remaining balance due 14 days before the start date. This table helps you calculate the estimated cost for your course, depending on travel time and number of attendees (if viewing on a mobile phone, rotate your phone so that it displays more clearly). Please note, the reason the price increases more steeply after 2 hours is - in addition to the extra mileage - I will need to stay in a Hotel the night before. If over 3 hours, I will need a Hotel stay for the night of the course as well. I trained as a Babywearing Consultant with both School of Babywearing and Slingababy. I also have a 'Preparing to Teach in the Lifelong Learning Sector' Qualification - aimed specifically at teaching adults - and have been teaching adults since 2001. I am passionate about enabling others to support parents with sound, safe, clear information; leaving the parents feeling confident and empowered about carrying their child. They're also lots of fun and a great way to meet other enthusiastic babywearers! If you're interested in attending a training course, or organising one in your area, please see the available dates on the Peer Supporter page. Do I have to be an expert babywearer/wrapper in order to attend the course? Absolutely not! You will gain just as much from the course if you are relatively new to babywearing as you will if you're more experienced. The course is concentrating on your ability to relay clear, safe information to others. It's not a test of your own capabilities. Generally at my home in Petersfield, Hampshire. If you'd prefer me to come to you on one of these dates please get together the minimum number of attendees required for that distance (see table), then get in touch. Providing the course does not already have attendees booked on in Petersfield, I can come to you. If the course is held at an alternative venue, generally one of the attendees offers to host. If no one feels they have space, or you'd prefer a different venue, any hire costs of the venue are shared between the participants. The course is being paid for by [insert name]. How does this work? Sometimes people have their course fee paid by their Sling Library/Baby-carrying Consultant/Breastfeeding support group etc. There's no problem with this, however, deposits MUST be paid within 24 hours of completing the booking form, without exception. There's a space to add the email address for sending the invoice to (if it's not going to you). However, if payment is likely to take a while to be authorised, we recommend you pay for it yourself and then claim it back. Similarly, final balances need to be paid before the final due date, without exception. Do I need to bring a demo doll with me? It can be useful to have a babywearing demo doll, especially if you plan to use your Peer Supporter training to assist people in the future. Demo dolls are available to purchase on the course, courtesy of Slumber Roo. This saves you any postage costs. You will be given the opportunity to pre-order a doll/dolls on your booking form. Do you want me to bring my carrier(s) with me? Only if you want to. I will bring with me all the carriers needed for the course. You have the option to purchase a variety of stretchy wraps and carriers at sample prices, to collect at the course, courtesy of Slumber Roo. These are available to anyone who is currently, or is planning to, work with parents and babies - e.g. at a Sling Meet, in a Sling Library. You will be given the opportunity to pre-order these on your booking form. What about food?! I need to eat! I ask all participants to bring a packed lunch with them. This means no one has to worry about not liking what's provided/whether their food allergies/intolerances will be catered for. If you have a severe allergy, which could be affected by other people's food, you can put details on the booking form and this will be relayed to the other participants. There will be tea, coffee and cold drinks available throughout the course, plus various biscuit-y, cake-y goodies, so don't worry - you won't go hungry! Can I get Peer Supporter Insurance after attending the course? Yes! On completion of the course, I will send you links/contact details for some of the insurance providers that will insure you as a Peer Supporter. I'm a busy person... is there any 'homework'? You'll be asked to do a very small bit of preparation before the course (it really is tiny though so don't panic!). There's then a post course assignment. This is made up of multiple choice questions, a few scenarios to discuss and a section about the role of a Peer Supporter. Once this has been successfully completed a 'Certificate of Completion' is sent out to you. There's no problem with babies-in-arms coming along to the course. If it's possible for the parent to leave an older baby/toddler with someone else - maybe meeting up with them in the lunch break if they need feeding etc - parents generally find they can concentrate on the course more easily. We cover a lot in the course - with quite a bit of theory as well as practical work - and it's not especially toddler-friendly. The parent needs to consider the impact of their children on others and their own learning experience. However, all children are different so if you feel yours will cope with a full-on day of adult learning then they are welcome to come along. We also need to check whether the host feels they have space to accommodate everyone (e.g. If there are 10 participants all with multiple children it could get a bit tight for space). If children do come along, we ask that they don't disrupt the learning of others. Deposits are non-refundable unless the course is cancelled. Once the final balance has been paid, this will only be refunded if at least 7 days notice is given and the place is able to be filled. Deposits can be carried over to a future course, at our discretion.